This Homemade Butterscotch Custard is smooth and creamy and incredibly delicious! If you like butterscotch pudding you will love this easy homemade custard! I have to admit that butterscotch is not my favorite flavor. However, I love butterscotch pudding! 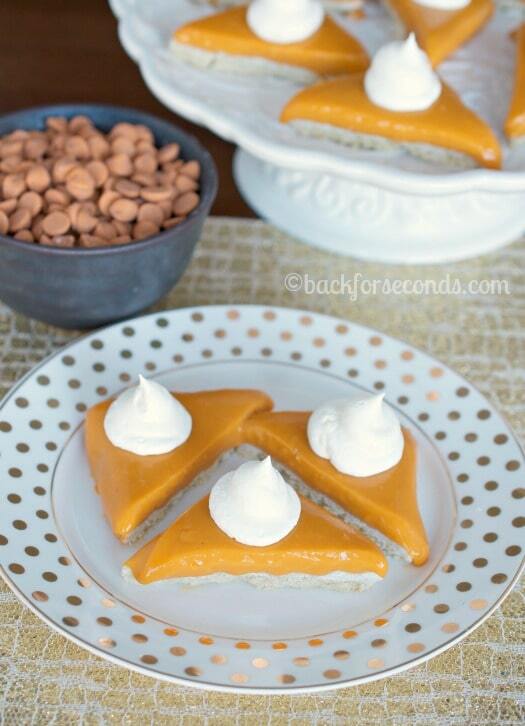 My husband looooooves butterscotch, so this was made with him in mind. Of course, my kids happily ate some too! 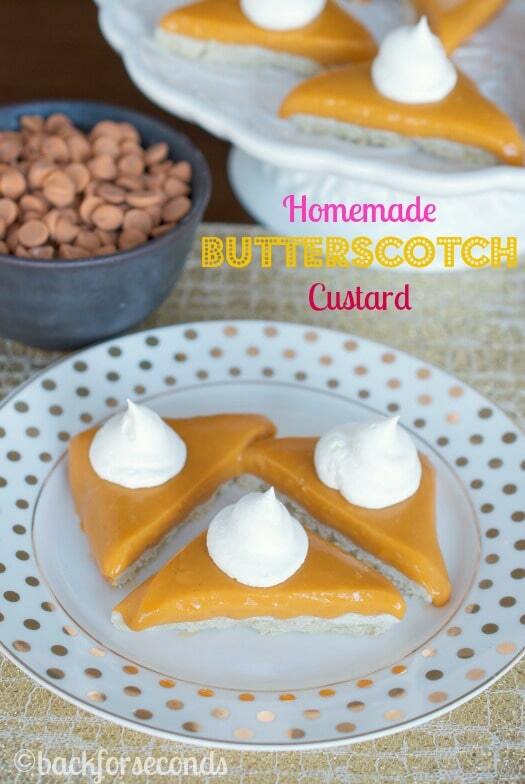 As you can see from the photos, the idea here was to make butterscotch custard pie bars. While they tasted amazing, they were not firm enough to hold a bar shape. I appologize for the misleading photos :/ The bar idea was a flop, but the custard was definitely a win! I suggest serving it in mini pie crusts or just eat it plain from a little glass bowl. I wanted to remake it to photograph that way instead buuuuuut I just didn’t have the time. That’s what happens when you have 9 million projects going and 4 small children to take care of. Don’t hold it against me, k? Thanks. Now go make some butterscotch custard! i love butterscotch! Even though the bars didn’t work out 100%, they look adorebale. What a cute little dessert. We never think about using butterscotch. This will be one to try! 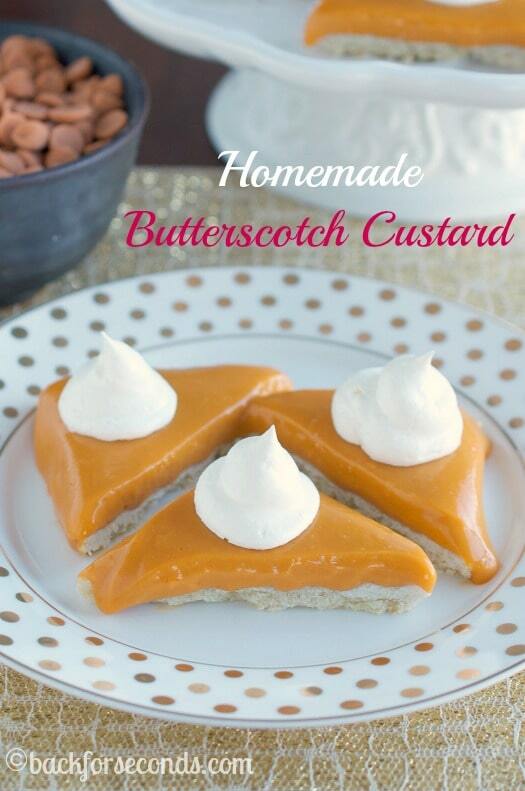 I love anything butterscotch– so good! Butterscotch is one of those flavors I tend to forget about. 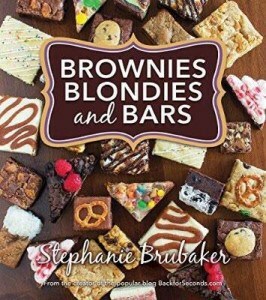 Bookmarking this so I can remember to make it soon. I love how simple it is!